Board of Intermediate and secondary education Sargodha has developed a program to provide the facility of downloading the roll no slips to the students of SSC and HSSC. BISE Sargodha send the roll no slips on the post addresses of students by registered post, but some time due to negligence of any board or post office’s employee you may not receive your roll no slip in time. Some times students also lost their admit card. In both these cases you can download your annual exam roll no slip from this page. Sargodha board will conduct the SSC exams in March and date sheet will be announced in first half of February while admit cards will be available online in the end of February. You have reached on the right page for downloading Sargodha board Matric 9th & 10th class roll number slip download 2019. BISE Sargodha will take the HSSC annual exams in May and date sheet will be announced in the mid of April while admit cards will be uploaded on this page almost 10 days before the annual exams. Students will have to show their roll no slip for appearing in exam. So keep an extra copy with you so that in case of losing original slip you may show the duplicate copy at the time of entering the exam hall. Its never too late so if you still not prepared for exam then leave all other activities except your studies. Set a time table and first prepare the important questions. You may take the help of model and past papers in this regard. Manage your studies as per date sheet after the announcement of exam schedule. Weak students should concentrate on selected studies in the limited remaining time. Getting good marks are still possible if you develop a self study habit. Our team always try to guide the students so take us as your online friends. 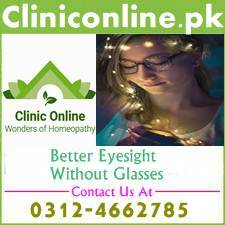 We will feel pleasure to help you. As far as your BISE Sargodha board Matric & Inter roll no slips 2019 are concern, leave it on your online friend as we will upload your admit cards immediately after the BISE Sargodha. 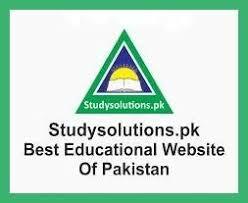 So visit studysolutions.pk daily for latest alerts about exams of all classes. Wish you good luck.